File photo of GIMT Tezpur. The Girijananda Chowdhury Institute of Management and Technology (GIMT), Tezpur is going to conduct a series of career counselling programmes all over Assam. Official sources at GIMT Tezpur informed that the programmes will be conducted by its social welfare club, SAHYOG. Prominent career counsellor and principal-in-charge of the GIMT Tezpur, Dr. Buljit Buragohain will conduct the career counselling programmes as the resource person. At the first phase such counselling will be conducted in Sonitpur district, GIMT sources said. However, interested schools and colleges from other districts also may contact over the phone numbers at 9864603100, 8724954995 and 7002020571 to organise Assam career counselling programmes at their premises. The Girijananda Chowdhury Institute of Management and Technology (GIMT), Tezpur will organise a free career counselling programme on February 6, 2019. “Students from class IX to XII along with their teachers may participate in the programme. Interested participants may contact over phone numbers at 9864603100, 7002020571 for free registration and further details,” GIMT official sources said. Girijananda Chowdhury Institute of Management and Technology, Tezpur is an institute offering B.Tech degree courses in the Public-Private Partnership (PPP) mode established in 2011 by Shrimanta Shankar Academy (SSA) Society and Government of Assam. 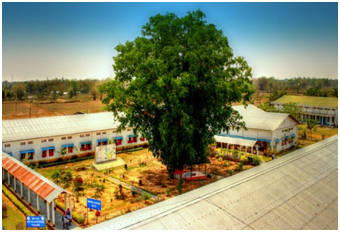 The college was established with permission from the Assam Government and approval from the All India Council for Technical Education (AICTE), New Delhi and is affiliated to Assam Science and Technology University (ASTU), Guwahati. GIMT Tezpur is the first institution established under Public Private Partnership (PPP) mode in the North Eastern region of India. and B.Tech in Electrical Engineering. The admission to the B.Tech courses are done through Common Entrance Examination (CEE) and Joint Entrance Examination (JEE).